Until today I’d not heard of Irish illustrator John Robert “Jack” Monsell [1877-1952]. My bad. In a search for yet more information concerning the 19th century British popular entertainment “Punch & Judy,” this illustration materialized. I immediately suspected it to be a lesser-known example of William Nicholson, one of the Beggarstaff Brothers. Nicholson and his artistic partner and brother-in-law William Prydde had been on my radar since college, and they reappeared in the 1970s when Jim O’Rourke staged an exhibition of some Nicholson lithographs. The woodcut character was intentional but the prints’ popularity necessitated larger editions in lithographic form. 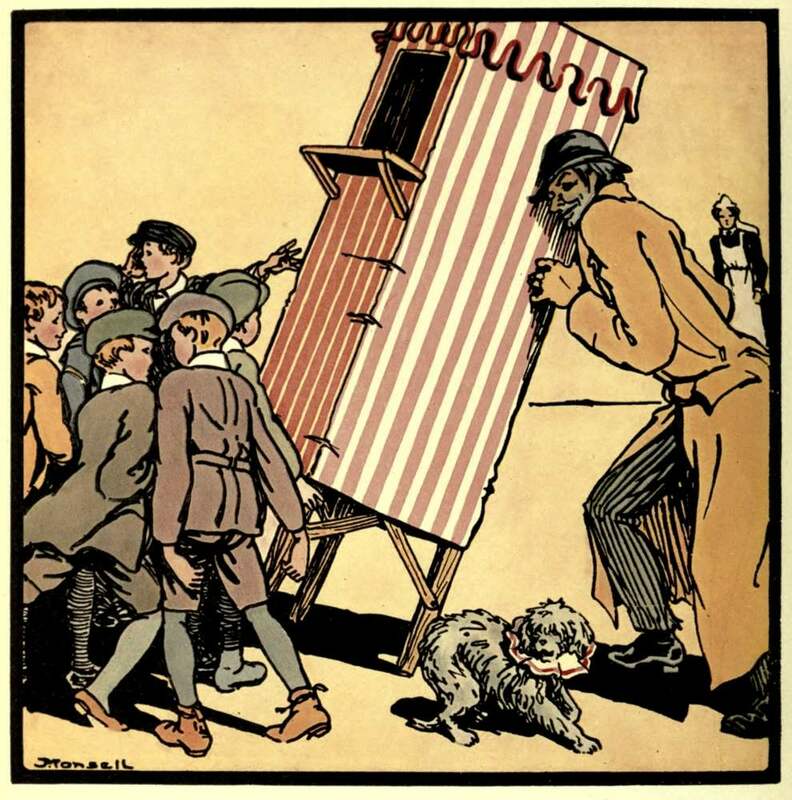 The Nicholson-Prydde style certainly influenced Liverpool art student Margaret Lloyd’s illustration of “Punch & Judy”; Jack Monsell not only adds to the mix but also enriches the “P&J” aspect of the Agincourt story. How do you think it might be incorporated, especially for the fall exhibit? It’s simply too charming to pass by. By agincourtiowa in Landscapes & Livestock, Uncategorized on Tuesday/12/May/2015 .